A Globe reporter with roots in Dorchester reflects on the neighborhood and its growing appeal. The author’s mother, Jeannie Sweeney-Rock, and a friend at the projects in the early 1960s. COLUMBIA POINT holds a special place in my soul. That’s where my mother and aunts and uncles grew up. But it wasn’t by choice. After the City of Boston decided to demolish their neighborhood in the West End, my grandmother moved to the only place she could, an isolated peninsula on the other side of town: Columbia Point in Dorchester. It was 1954, and the low-income housing project was still new, a mass of yellow-brick buildings that had emerged beside two heavily used trash dumps. “There was only one way in and one way out,” recalls my Uncle Skip. That was Mt. Vernon Street, a mile-long thoroughfare known locally as “Mile Road.” Their apartment was on the first floor at 380 Mt. Vernon Street. The walls and floors were made of cement, like a bunker. Rubbish-filled dump trucks rumbled by their windows hundreds of times each day. My uncle has fond memories of scavenger hunting in the dumps (“That was our department store,” he says) and playing tag and Red Rover with his pals while his sisters skipped rope and played hopscotch. He remembers seeing the glowing fires from trash being burned at the dump and the large, well-fed rats that scampered about. With 1,504 units, the Columbia Point housing project was the largest of its kind in the state. Nicknamed “Sin City” by locals and “Shame City” by newspapers, it was simply home for my mother’s family, and it would remain so until 1963. When they moved in, the housing project was surrounded by open fields, the landfills, and water. There was no school. No church. No stores. No restaurants. STICKING INTO DORCHESTER BAY and surrounded by water on three sides, Columbia Point had always been an isolated place. Now its newest highlight, the Edward M. Kennedy Institute for the United States Senate, is being seen as a turning point for one of the city’s hidden-gem neighborhoods. Originally a 14-acre strip of marshland, it was called the Calf Pasture because residents grazed cattle there. Over the years, as the tidal marsh was filled in, the peninsula grew to approximately 350 acres. Mt. Vernon Street was laid out in 1878, and soon after that plans were drawn up to build Boston’s first-ever sewage pumping station. Calf Pasture was viewed as the perfect place to put it. The massive station, reminiscent of a medieval castle with its facade of rough-cut granite, was completed in 1883. That sealed Columbia Point’s reputation as a no man’s land, a destination for the city’s sewage and trash. In 1924, when zoning was established in Boston, Calf Pasture was designated for “industrial uses of the more offensive type” and “unrestricted” uses. During World War II, part of Columbia Point (where the teachers union building now stands) was used to house Italian prisoners of war. Camp McKay held up to 1,500 POWs. The 1950s marked a turning point for this neglected section of Dorchester, as construction began on a new campus for Boston College High School. 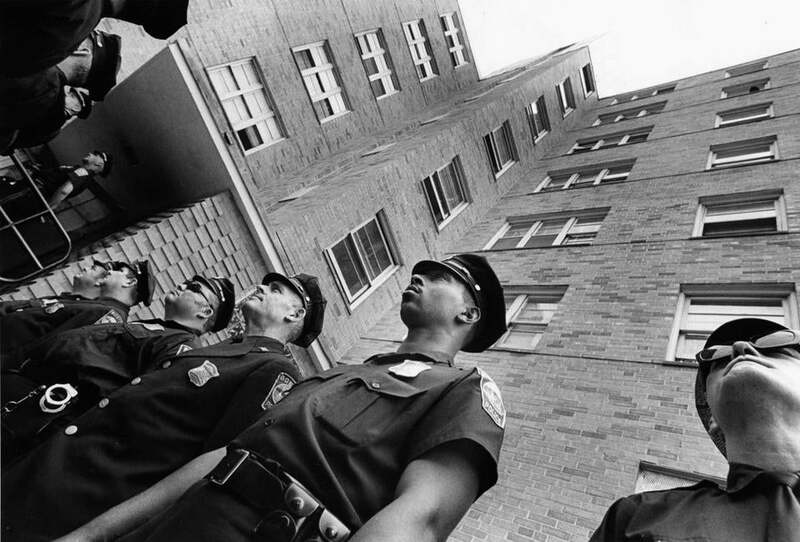 And the federal government’s low-rent housing program was embraced by Massachusetts, which brought with it construction of three- and seven-story brick buildings known as the Columbia Point housing project. In 1954, my mother and her family were among the first tenants to move in. 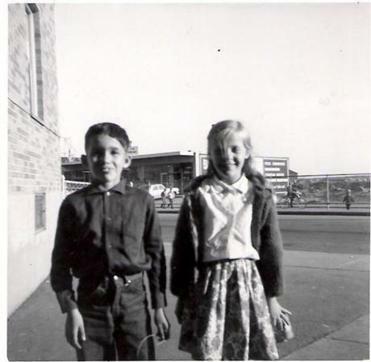 A couple years later, an elementary school was built (the Dever), as well as a Catholic church (St. Christopher’s) and a row of stores known as “The Beehive.” The year before my mother moved out, in 1962, a 6-year-old girl was run over and killed by a dump truck. Ma remembers how the Columbia Point mothers reacted. They demanded the dumps be closed. Mothers stood across Mt. Vernon Street, forming a human barricade to block the trucks from entering. Eventually, the dumps closed and the landfill became the site of a new University of Massachusetts campus, which opened in 1974. Although construction was plagued by scandal, the fortress-like building overlooking the harbor was completed in just over two years, according to Michael Feldberg, author of a forthcoming book chronicling the history of UMass Boston. Feldberg says creating this “campus by the sea” was not easy. The city practically forced the university to relocate to Columbia Point and build its new campus next to “the most notorious housing project in Massachusetts,” he says. It’s hard to picture Columbia Point without UMass. “Now it’s a fixture,” he says. Feldberg adds that the university has made its location an asset and noted it now boasts an impressive urban oceanography program. 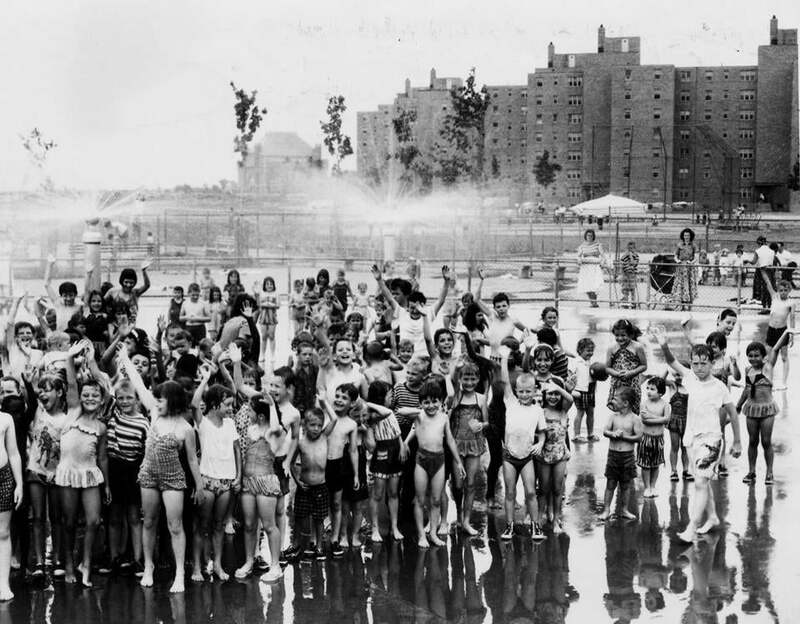 Kids crowd a Columbia Point playground in 1960. A NEW CHAPTER BEGAN with the appearance of UMass. In 1979, the John F. Kennedy Presidential Library and Museum opened next door. That was followed by the addition of the Massachusetts Archives building. The old Columbia Point housing project was refurbished in the 1980s and transformed into a mixed-income community known as Harbor Point. Today, Columbia Point is not only home to the Commonwealth Museum but also The Peninsula, a luxury apartment complex. At UMass, there seem to be as many cranes as cars as the campus expands. She would like to see a water taxi service, so tourists could arrive by boat. “Many people have never been to Columbia Point before,” she says. Plans are also underway to have a trolley shuttle guests from downtown hotels to the JFK Library and EMK Institute. That service will be tested from April to November, she says. She envisions hosting public programs that draw tourists, students, school groups, and families to this often overlooked part of the city. Emily Sweeney is a Globe reporter. E-mail her at esweeney@globe.com and follow her on Twitter @emilysweeney.